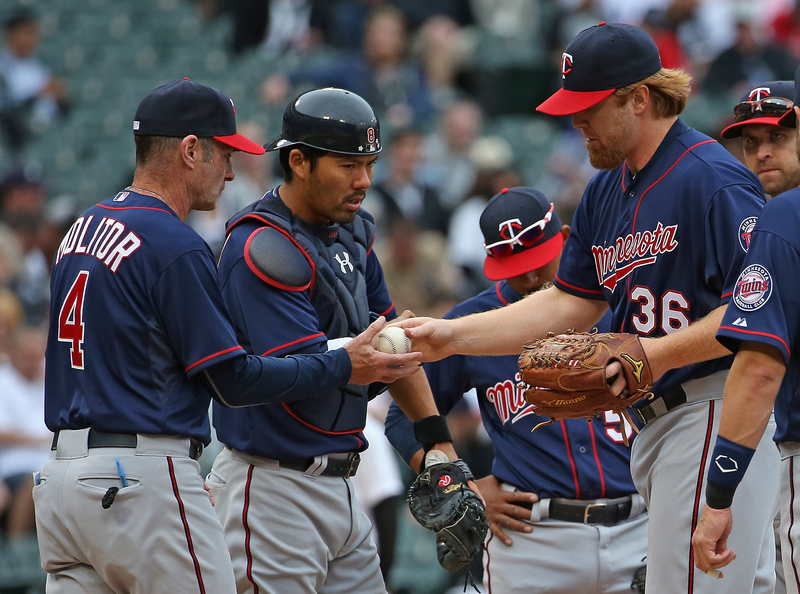 What should the Twins do at the trade deadline? For the past four seasons the only questions surrounding the Twins at the trade deadline were about whether they should trade away veteran players and whether any of the veteran players they might trade away would even interest contending teams, but this season is very different. Not only have they emerged as surprise contenders by starting 50-42, the Twins have done so despite three obvious weaknesses that could potentially be addressed with midseason pickups. Starting catcher Kurt Suzuki has been terrible on both sides of the ball. He's hit .227/.283/.303 for a .586 OPS that ranks 26th out of the 28 regular catchers. He's thrown out 19 percent of steal attempts compared to the MLB rate of 31 percent and fares poorly in pitch-framing metrics every year. Suzuki's good first half last season convinced the Twins to give him a two-year, $12 million extension, but that decision looked highly questionable then and looks awful now. He hit .237/.294/.357 from 2010-2013 and he's hit .235/.285/.326 since the extension. At age 31 with heavy workloads throughout his nine-year career there's little reason to expect Suzuki to turn things around. He's been among MLB's worst regulars and his backups--first Chris Herrmann and now Eric Fryer--are not starting-caliber players, leaving the Twins with an ugly situation behind the plate. Their catchers rank 25th in OPS and have been below average defensively. Catcher is the spot where the Twins could make the biggest upgrade, but unfortunately it's also the spot where even an average all-around player typically carries a huge price tag at the trade deadline. To further complicate things Suzuki is under contract for $6 million next season, which isn't much in the grand scheme of MLB money but may be enough to make the Twins think twice about giving up prospects for a second catcher making considerable money. Opening Day shortstop Danny Santana has been even worse than Suzuki, hitting .221/.241/.306 with a ghastly 63/4 K/BB ratio and committing 15 errors in 60 games. His current .547 OPS would be the third-worst in Twins history among hitters with at least 400 plate appearances. His overall value varies depending on which defensive metrics you rely on, but Baseball-Reference.com has Santana as MLB's worst all-around player with -1.7 Wins Above Replacement. The bad news is that, much like for catchers, acquiring even an average all-around shortstop at the trade deadline is costly and difficult. The good news is that the Twins already have an average all-around shortstop in Eduardo Escobar. Based on both the eyes and the numbers Escobar is a solid defensive shortstop. He's not a good hitter, which is why manager Paul Molitor choosing to start Escobar in left field 27 times is confusing, but his bat is perfectly decent at shortstop. Escobar has hit .260/.299/.384 in 279 games for the Twins, including .254/.284/.400 in 66 games this year. MLB shortstops as a whole are hitting .256/.303/.369 this year. His numbers are never going to look very pretty and his strike-zone control is barely better than Santana's, but Escobar is an average-hitting shortstop with average-or-better defensive skills if the Twins would simply let him play the position he held for nearly all of last season. Relievers haven't been as big of a weakness for the pitching staff as catchers and shortstops have been for the lineup, but if you remove All-Star closer Glen Perkins from the equation the rest of the Twins' bullpen is revealed to be an unreliable, low-strikeout mess. Casey Fien and Blaine Boyer have been the primary setup men while combining for 35 strikeouts in 70 innings. Perkins has 37 strikeouts in 38 innings and that's not even a particularly great rate for a reliever. Aaron Thompson was the primary lefty setup man until his early magic wore off and he was sent to Triple-A, so Brian Duensing was elevated to the role despite 47 strikeouts in 78 innings since last season. 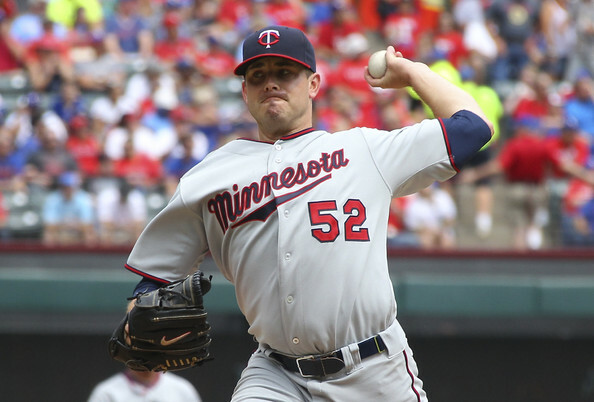 Relying on Fien, Duensing, and Boyer to get late-inning outs is no way to stay in the playoff picture and the other arms currently in the Twins' bullpen are Rule 5 pick J.R. Graham, demoted starter Trevor May, and freshly called up southpaw specialist Ryan O'Rourke. Perkins has converted 28-of-29 save chances with a 1.41 ERA to rank third among AL relievers in Win Probability Added at 2.48. Every other reliever in the Twins' bullpen has combined for a 4.30 ERA (which would rank 28th) and a Win Probability Added of 0.86 (which would rank 19th). Even with Perkins' strikeouts included the bullpen has by far the lowest strikeout rate in baseball at 6.1 per nine innings when no other team is below 7.3. Better relief pitching is needed, period. There are some in-house options with upside like Michael Tonkin, who's again dominating at Triple-A and has held his own in brief stints with the Twins. Of course, there's also room for the Twins to give an extended chance to a minor leaguer like Tonkin and add a veteran to the late-inning mix. And the good news is that acquiring capable relievers at the trade deadline is common practice and doesn't have to be overly expensive. 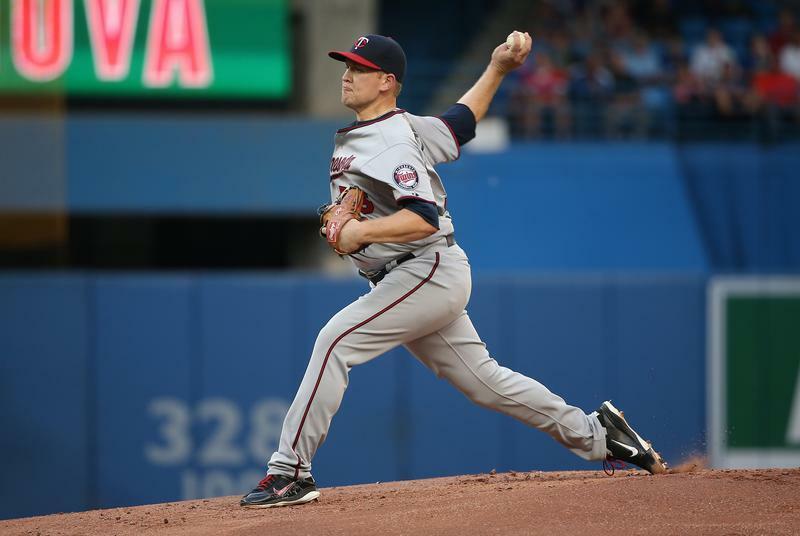 Teams often overpay when focusing on a specific reliever, especially a big-name closer, which is what the Twins did in sending top catching prospect Wilson Ramos to the Nationals for so-called proven closer Matt Capps in mid-2010. However, when teams are flexible and patient enough to let the market sort itself out there are usually decent setup men to be had for mid-level prospects, which is what the Twins did in getting Jon Rauch and Brian Fuentes inexpensively. Perkins is a very good closer under team control through 2018, so there's zero need for the Twins to go nuts pursuing a big-ticket arm like Aroldis Chapman, Jonathan Papelbon, or Francisco Rodriguez. Instead they merely need someone to provide an upgrade over Fien, Duensing, and Boyer, which isn't a high bar and gives them plenty of options. Making the bullpen better should be a priority, but avoiding overpaying for two months of a veteran reliever is also important. Catcher, shortstop, and bullpen are three obvious weaknesses. They can improve shortstop at no cost by handing the job back to Escobar. They should be able to improve the bullpen at minimal cost by shopping around for a decent setup man who can throw 20 solid innings down the stretch. To improve catcher would come with a bigger cost, because there are no in-house options, good catchers carry high price tags, and Suzuki is already on the books for $6 million in 2016. For a lot more about the Twins' trade deadline plans, including some potential big-name targets, check out this week's "Gleeman and The Geek" episode.